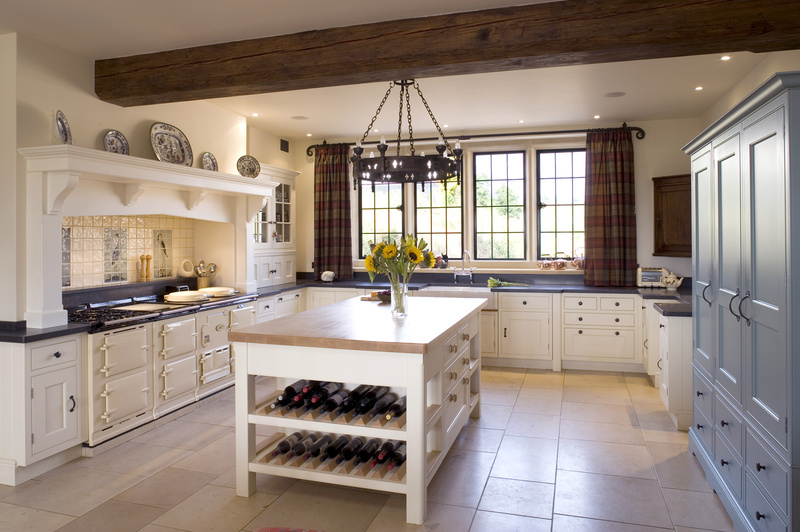 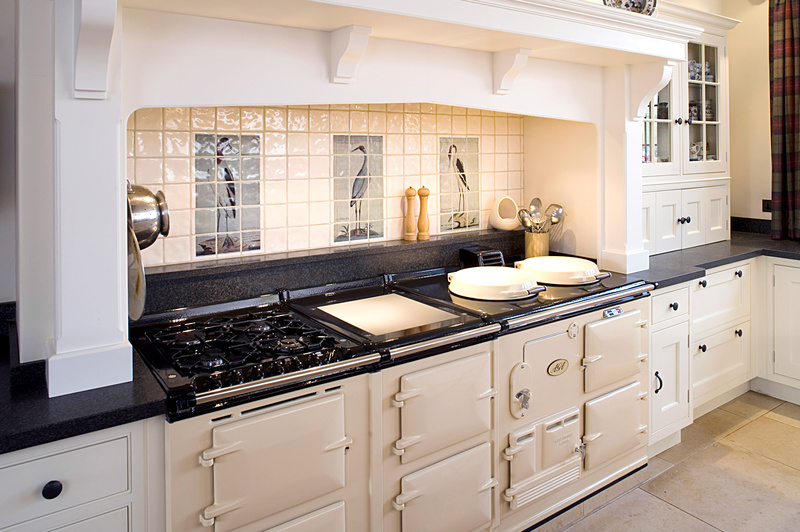 A large Aga and over mantle provides the focal point of this traditional kitchen. 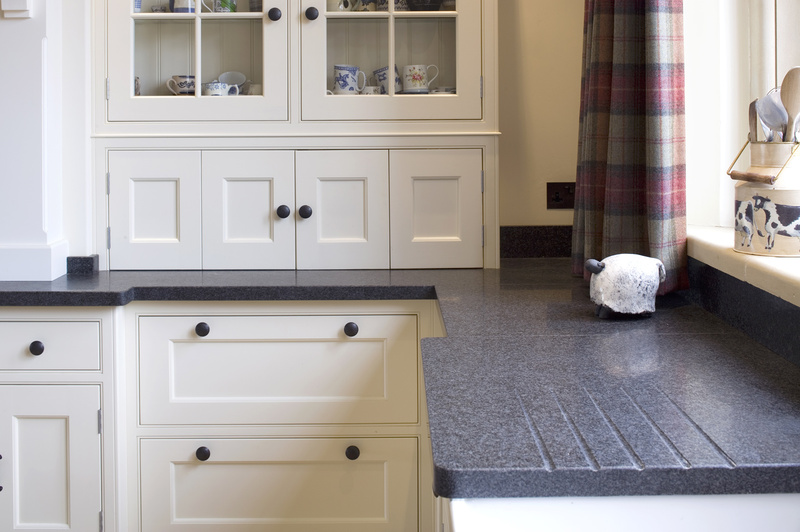 Freestanding pieces augment the design and provide practical storage requirements for both dry goods and refrigeration. 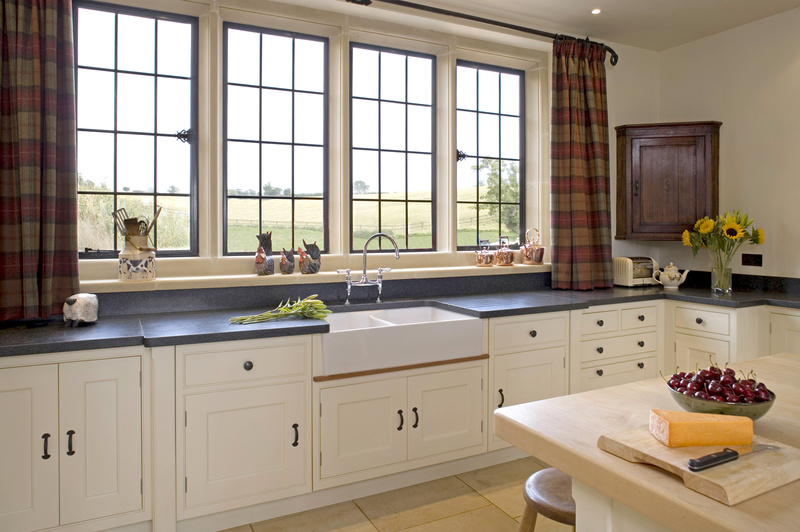 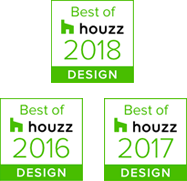 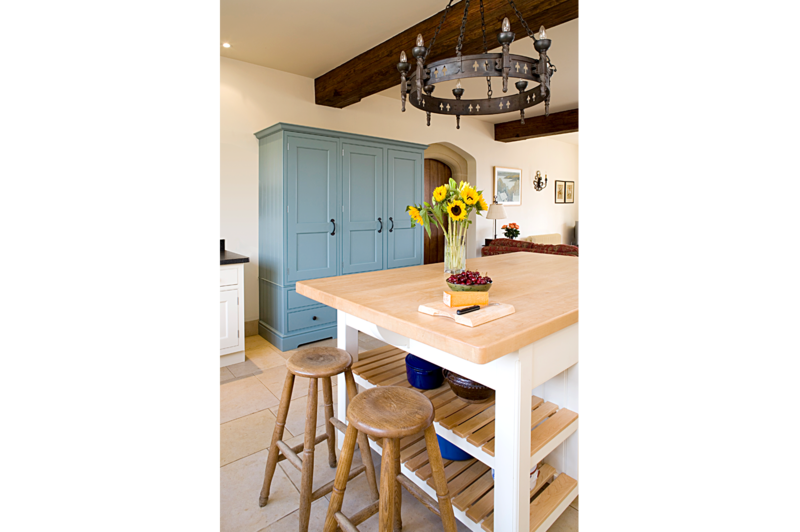 The traditional feel is further enhanced with the inclusion of black granite worktops and handmade wrought iron cabinet furniture.